This is the first in a series of articles about bespoke games and how can they boost, extend, and positively influence reach and marketing. With ever rising technology, more and more people have access to all sorts of smart devices which in themselves are becoming increasingly popular. Following this trend, many companies and brands are putting an effort to reach customers through those means as well. And for a good reason. Games like these provide high engagement and fun interaction with the brand or company. This is in contrast to the the somewhat uninteresting and stale forms of advertisement that people often don’t pay much attention to. They offer many options for attracting potential customers, through lead generation, connecting with social media and more. They are also a great activity for all sorts of events. HTML5 games can also be deployed on virtually any platform there is, smartphones, tablets, desktops, TV’s, etc., making them even more appealing. The theme for this article are games related to food and beverage. Other than making sure their products taste good, companies and brands need to leave a good taste after interacting with their customers as well. Fun and engaging, games are a perfect tool for this. See the examples below to get a glimpse why. Tic Tac is one of the world’s famous company producing refreshment mints. Available in a variety of flavors, Tic Tacs are sold in over 100 countries. 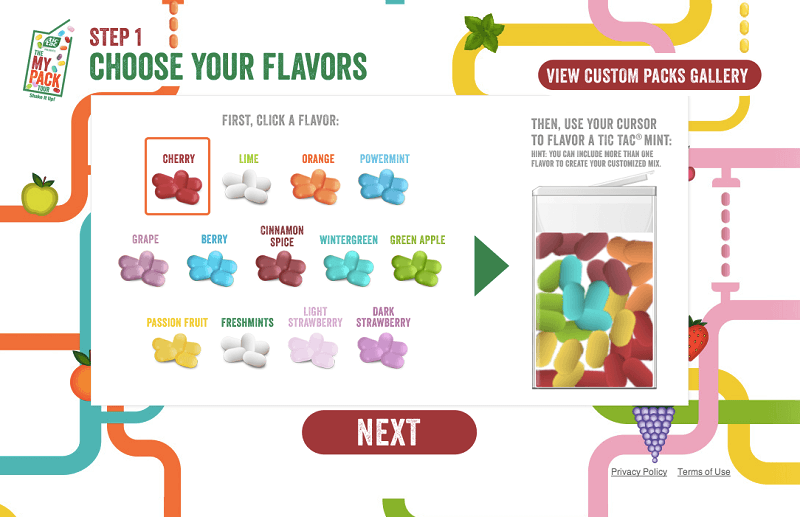 This was a HTML5 game Tic Tac used for a tour across the US, encouraging the public to be creative by designing their very own Tic Tac. Using HTML5, an interactive canvas was built, delivering a seamless experience no matter the platform. This one is designed and developed to be an iPad optimized game. Titled “Escape The Office”, the goal is to encourage awareness of the Wild Turkey whiskey brand. In this top down scroller, the user rotates the iPad to trigger the accelerometers, simulating riding an office rollchair. 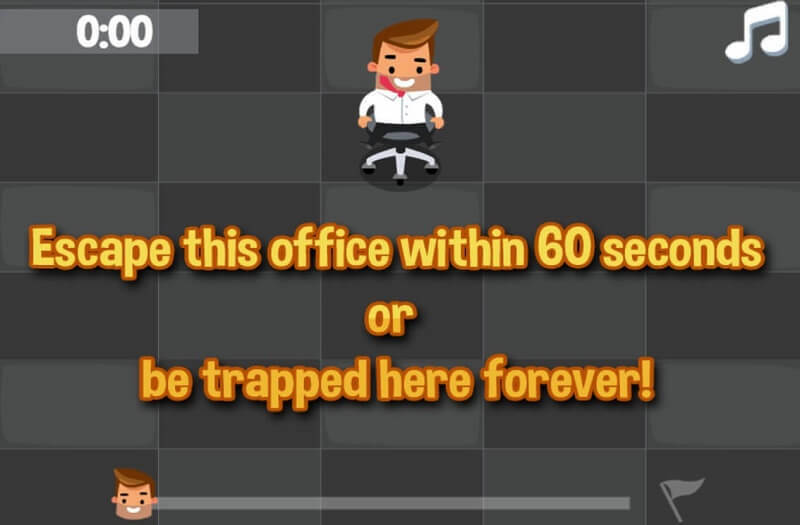 You have to escape the office maze filled with obstacles. Once successful, the character magically changes into summer clothing, taking a sip of the American Honey Wild Turkey. 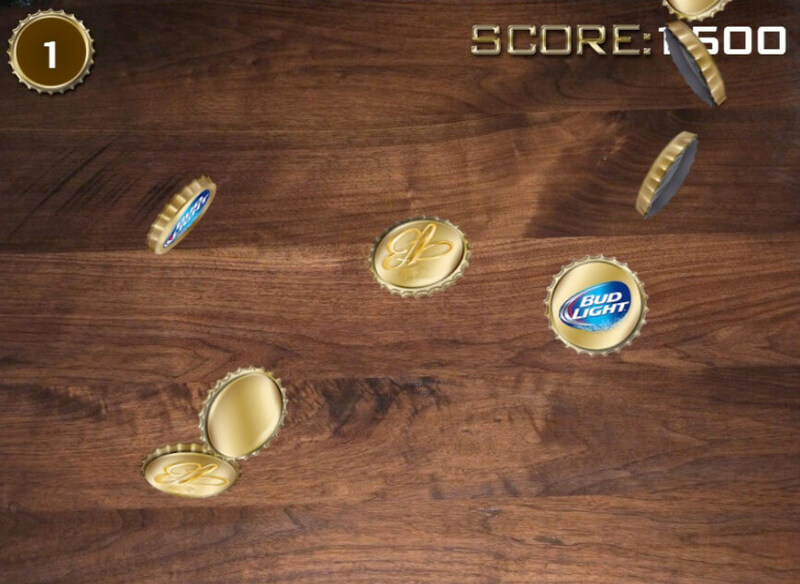 A game where the player would interact with beer-branded bottle caps. Simple to master, users can pick up the device and start playing immediately. The goal is to provide users with a taste of entertainment while exposing them to the various beer brands on display. It features rather realistic animations for the beer bottle caps, making it look 3D-like. Within the time frame, you collect as many points as possible by taping on the designated bottle caps. If you would like a custom tailored game of your own, check out MarketJS, they offer great services for developing your bespoke game.